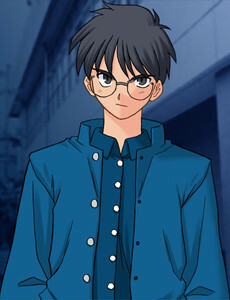 Shiki is a kind, honest, if not slightly playful second-year high school student. He is anemic and is prone to fainting, but he tries his best to live a normal life. He has the Mystic Eyes of Death Perception, allowing him to see the "Lines" and "Points" that enable him to kill all things using the highly effective assassination techniques hidden in his subconscious. Despite being constantly surrounded by death he has a greater appreciation for life than most people and would never take a human life. Arcueid is a vampire hunting others of her kind. She "convinces" Shiki to help her deal with the vampire in the town as she used up most of her power because of him. Arcueid is shown to be a whimsical individual who, although knowing the basics of the modern era, does not seem to know about social norms. Her behaviour is almost child-like, due to the lonely nature of her up bringing, although she is over 800 years old, she spent most of it asleep and knows nearly nothing about the world or how to interact with others. 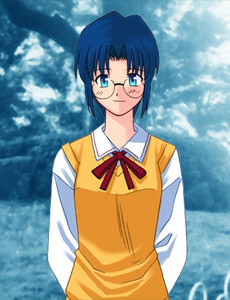 Ciel is a senior attending the same school as Shiki, where she is the president and only member of the tea ceremony club, and also good friends with Inui, Satsuki and Shiki himself. Her outward demeanor is that of a calm, friendly, and peaceful person. 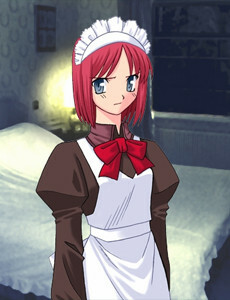 Hisui plays the role of cleaning maid to the Toono family. 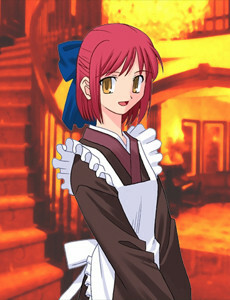 Always wearing her western maid uniform, Hisui can always be found tidying up the lobby, dusting the rooms of the mansion or waiting for Shiki to return at the gates. 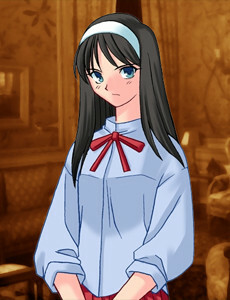 The older of the two twin maids in the Toono mansion, <hidden by spoiler settings> Kohaku, along with her sister Hisui, is a childhood friend of Shiki. She wears a Japanese kimono and is always seen to be smiling and cheerful, being especially gifted with medicine. Born into the prestigious Toono family, Akiha lived a sheltered childhood. 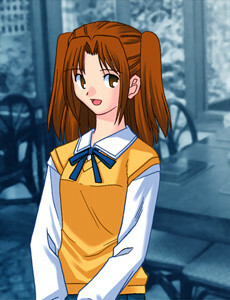 Thanks to her brother Shiki she was able to experience at least some semblance of the joys of childhood. Unfortunately not soon afterwards, Shiki was near-fatally wounded in an accident and was sent by Makihisa to live with the Arimas, relatives from another branch of the family. Contact was made impossible when Akiha was placed in a boarding school and she was forced to live on campus. 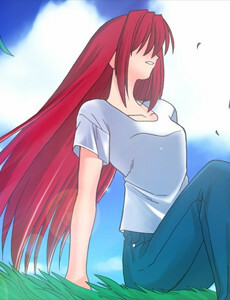 Upon the death of their father eight years later, Akiha became the head of the Toono household and, ignoring protests from the remaining relatives, called Shiki back to live at the family mansion with her. Akiha is very protective of her brother. She is always intent on knowing what he does with his day, and is extremely suspicious of what he does at night. She gets incredibly jealous when he is around other girls. Shiki's classmate and best friend. When Shiki was living with the Arimas, he often used to hang out with Arihiko. 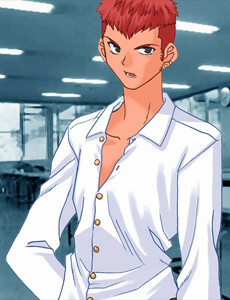 He has a competitive attitude against Shiki; Arihiko wants to get a girlfriend before Shiki does. Shiki cannot grasp how he became friends with Arihiko in the first place, since Shiki believes Arihiko has a "weird personality." A numberless Dead Apostle that Arcueid is searching for. He was a priest who sought immortality and was able to obtain it through reincarnation. <hidden by spoiler settings>He tricked Arcueid into drinking his blood, therefore making him a vampire. 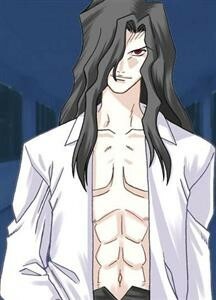 He is an antagonist in most routes of the game. Roa was taught a Reality Marble known as "The Soil of Genesis" which can only be destroyed with something that has a destructive power of something that can destroy a continent. It functions as some kind of cage or restraining device. 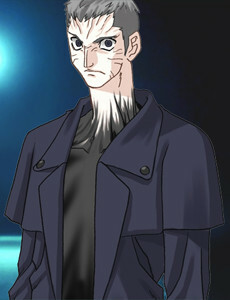 His original body was finally defeated by a coalition composed of Arcueid and the Church's Burial Agency, and he has been re-incarnating ever since then. 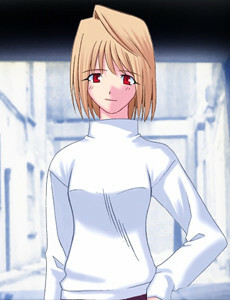 By the time of Tsukihime he had already re-incarnated seventeen times and had been destroyed by Arcueid each time as she seeks to gain her stolen power back, and perhaps to achieve some measure of revenge. Roa has two requirements for choosing the host of his next reincarnation: the host's family must have a high social standing so that he would be born into luxury, and a body with high magical potential and perhaps unique latent powers. <hidden by spoiler settings>His last host was Ciel, who was chosen in haste and thus was born into a bakery's family but in exchange had a body with an extremely high magical potential that was relatively close to that of his original form. 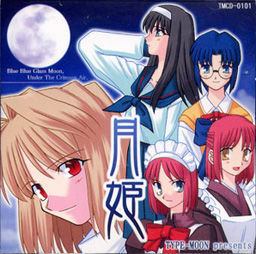 In Tsukihime, Roa is responsible for the grisly vampire murders throughout the city. 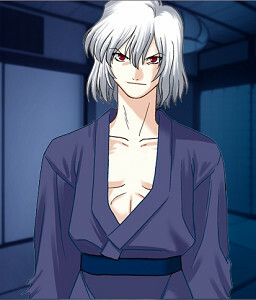 This vampire is known as the tenth of the twenty-seven Ancestors of Dead Apostles, as well as the highest ranking vampire to appear in Tsukihime. Has 666 beasts on his body, from deer and wolves to mythological creatures like unicorns. <hidden by spoiler settings>The only conventional way to kill him is to destroy all 666 beasts at once or he will constantly regenerate; to kill him is practically impossible. <hidden by spoiler settings>Toono Makihisa's real son. Shiki's classmate and friend, who likes him very much. She is shy and has somewhat of an inferiority complex. She has a crush on Shiki, although he is completely oblivious of this and regards her as just another classmate. The one who gave Shiki the "Mystic-eye-killer glasses" (which she stole from her sister) to prevent him from seeing the lines of death. She is also the one who taught Shiki to value living things, whether it be humans, animals, or even plants. She is shown to have a bright cheerful personality that reacts very strongly to careless actions. "Oh, we're fine! Just fine! The more I crash, the better I get at flying."